Since the Northeast winter is coming, bringing with it frosty bitter winds and white walkers (aka frozen homeless people) I am preparing my lips for the apoca-lips (har har.) 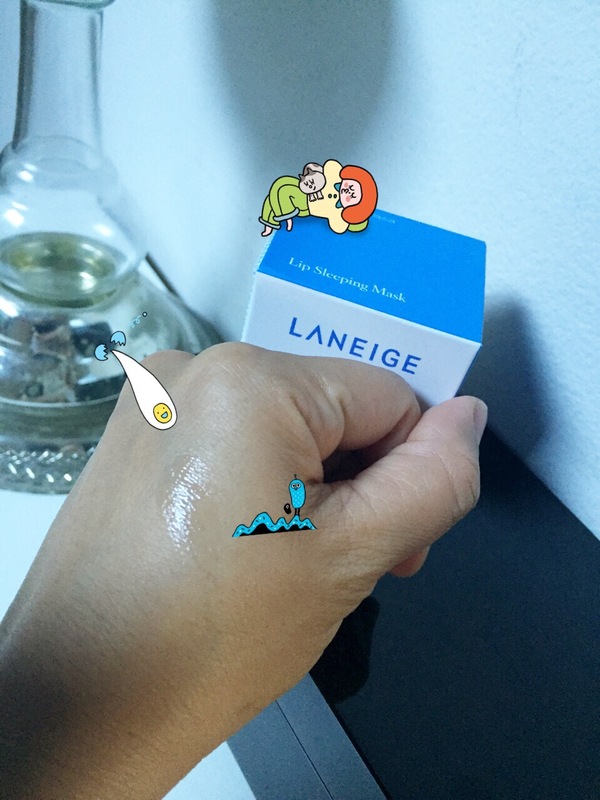 One of my recent favorite finds is the Laneige Lip Sleeping Mask, acquired at oo35mm of course. It is not cheap at $20 for a glorified lip balm. But actually…it’s very much worth it. It works as a lip mask because it’s thick and tacky enough to stay on your lips all night. I toss around a lot, not to mention I spend half of the night pushing the cat Miss Roxy from my face (she likes to make herself into a hat for my head at night.) In the morning, there’s a tiny trace of it left, and my lips are very soft and smooth. Sure, you can also use Vaseline, but where’s the luxury in that? 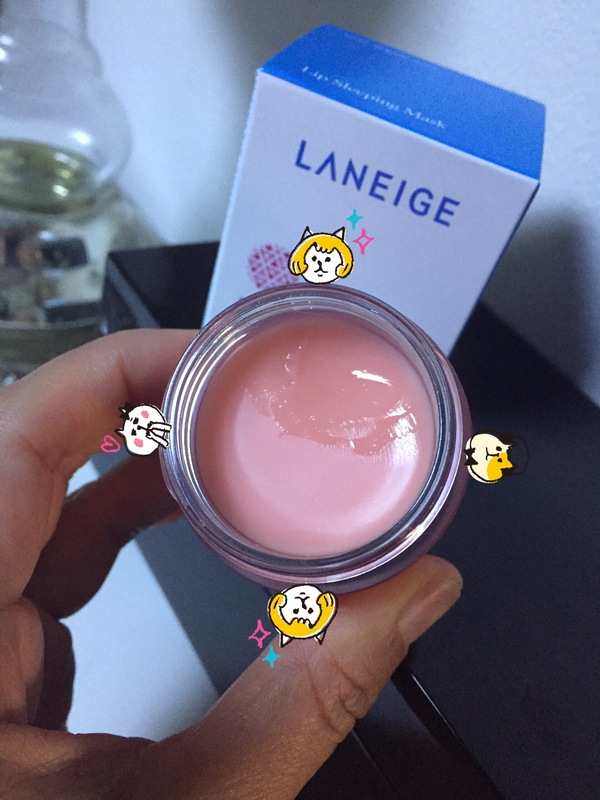 The Laneige lip mask is buttery smooth and smells like a soft berry. It doesn’t taste like anything and the scent is so light that it’s barely noticeable. Definitely good for people with ultra sensitive olfactory nerves. The product comes in a small jar but I’ve used it for 2 weeks and it’s barely created a dent. It comes with a cute but pointless mini spatula which I tossed. The color and texture is deliciously satisfying; a smooth soft sorbet pink. I sometimes use it for day time and it’s like a sticky gloss. It’s not as glassy as a gloss but it gives a subtle shine and keeps your lips moist. Ever since my first winter in the US, where my lips flaked and scaled like an uncleansed fish at a bootleg fish market, I have had an obsession with lip balm. Burt’s Bees sorta does the day time trick (though sometimes I think it makes me even more addicted to lip balm) but in the winter, extra reinforcements need to be brought in. This lip sleeping mask is one of the most effective treatments I’ve come across in terms of lip items. If you combine it with a lip sugar scrub and use it nightly, I’m optimistic that it will help you through the frozen tundras of the next few winter months. And if someone accidentally comes into contact with your lips, they wouldn’t be chafed and scratched by dry skin shards. I’ve been absolutely obsessed with trying this but I’ve been putting it off for the longest time! Your review has put it back on my radar. Have you tried nuxe’s reve de miel? Oooooh I have not but I am looking it up now and I’m obsessed!